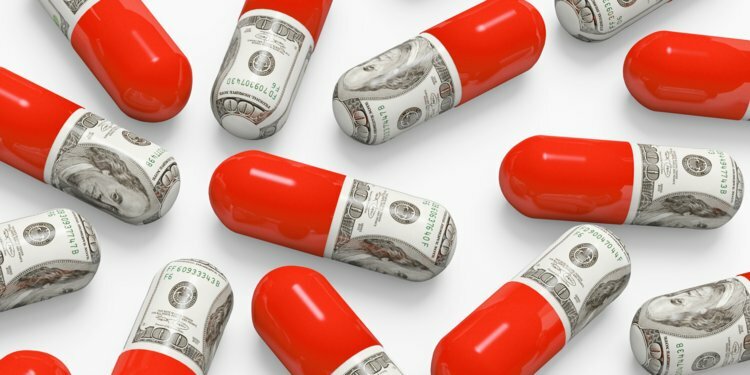 Americans woke up Tuesday to higher pharmacy costs as more than three dozen pharmaceutical companies raised their prices on hundreds of drugs including generic medicines, according to a study first reported by The Wall Street Journal. The health software company Rx Savings Solutions found that dozens of drugs produced by major brands such as Allergan and Hikma Pharmaceuticals saw average price increases of about 6.3 percent as the new year began. Allergan confirmed its price increases in a statement to the Journal, reporting that the company had raised the price on 27 products by about 9.5 percent, while another 24 drugs saw price increases of about 4.9 percent. In the statement, Allergan pointed to a pledge made in 2016 stating that the company would keep price increases under 10 percent and stick to one hike in costs per year while adding that Allergan was “committed to responsible pricing principles” that were outlined in that pledge. A spokesman for Hikma Pharmaceuticals, which among other increases hiked the price of morphine by 10 percent and the blood-pressure medication enalaprilat by 30 percent, told the Journal in a statement that the price increases were necessary to operate in a competitive business. “These are small increases that enable us to continue operating a sustainable business that serves hospitals, doctors and patient needs for high-quality medications,” a spokesman said to the Journal. Some of the price increases, including the one on morphine, the spokesman noted, came to as little as $1 per vial. The CEO of Rx Savings Solutions, Michael Rea, told the Journal that the study's results indicated that price increases face little oversight in the U.S., which is a key factor in rising costs. “The reason it can keep happening is there is no market check, no person or entity to bring reason to determining drug prices," Rea said. A bill introduced by Sen. Bernie Sanders (I-Vt.) and Rep. Ro Khanna (D-Calif.) in November would seek to strip monopolies from drug companies engaging in excessive price increases and would allow companies to produce cheaper versions of generic drugs. “No other country allows pharmaceutical companies to charge any price they want for any reason they want,” Sanders, who is considered a potential 2020 presidential contender, said in November. “The greed of the prescription drug industry is literally killing Americans and it has got to stop,” he added.